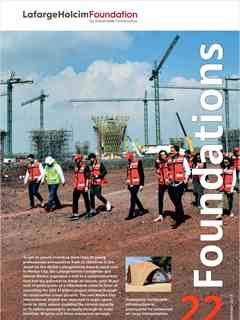 The Frequently Asked Questions (FAQs) page lists the most frequent questions regarding the LafargeHolcim Foundation for Sustainable Construction and its initiatives. Enter a keyword in the box below (e.g. "sustainable construction" or "green") to view only FAQs containing your keyword. Why is “sustainable construction” important? Sustainability requires that the present generation meets its needs without limiting the opportunities of future generations. For an approach to enable long-term viability, it must integrate economic, environmental and social impacts – the three elements of the triple bottom line. The construction industry can contribute greatly to global sustainability because everything that is built shapes the way people live today and in the future. The OECD, for instance, estimates that buildings in developed countries account for more than forty percent of energy consumption over their lifetime (incorporating raw material production, construction, operation, maintenance and decommissioning). Sustainably handling building design and management, material selection, as well as energy and resource consumption would be a significant step toward ecologically, economically and socially responsible development. Awards competition – how do I find out more about the winning projects from previous Awards cycles? Downloadable project posters (PDF), jury appraisals and high-resolution images of all winning projects are available in the Awards section of this website, covering the winners of the first (2005/06), second (2008/09), third (2011/12), and fourth (2014/15) cycles of the competition. Additional project updates are also listed on the “timeline” of each project. Alternatively, you can use the “Solutions” section of the website to search for projects according to region, country or keyword – or simply browse the latest updates. 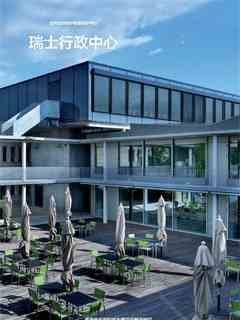 The LafargeHolcim Foundation publishes additional information in media releases and books about the winning projects and authors. Awards competition – when is the next competition open for entries? The next (6th) cycle of the LafargeHolcim Awards will open for entries in mid-2019. 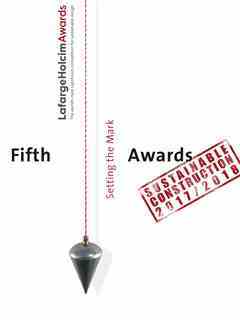 The current (5th) cycle of the LafargeHolcim Awards for Sustainable Construction was open for entries from July 4, 2016 until March 28, 2017. Results will be announced at regional Awards ceremonies in September/November 2017. Forum – what is the Forum? In cooperation with its associated universities, the LafargeHolcim Foundation organizes symposiums on sustainable construction, known as the LafargeHolcim Forum. 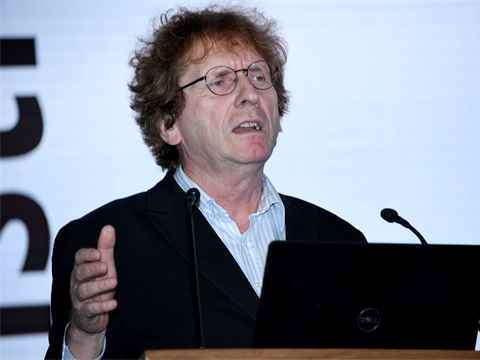 These technical conferences offer academics, architects, engineers, building professionals and experts from all generations and geographic locations an interdisciplinary academic platform for exchanging ideas and information. Forum – when was the previous Forum held? The 5th LafargeHolcim Forum was held April 7-9 2016 in Detroit, USA. “Infrastructure Space” was the topic of the three-day symposium and examined how to deliver long-term infrastructure that is aligned with sustaining human habitat. The LafargeHolcim Foundation website now features video/audio recordings of all keynote addresses in addition to a rich gallery of images from the Forum. Forum – where do I find out more about all Forums? Forum – when will the next Forum be held? The next (6th) International LafargeHolcim Forum for Sustainable Construction will be hosted by the American University in Cairo, Egypt, and take place from April 4 to 6, 2019. It will be dedicated to the topic of “Re-materializing Construction”, and the format of the event will be similar to the previous symposiums. To stay updated about the Forum and other initiatives, please consider subscribing to the Foundation’s email newsletter to stay updated. Business propositions – whom should I contact regarding business proposals for the cement/concrete or construction industry? The LafargeHolcim Foundation is supported by, but independent of the commercial interests of LafargeHolcim, the leading company in the building materials industry. Business propositions should be directed to either the corporate headquarters or to the relevant country in which LafargeHolcim operates. Employment – how do I apply for a position at the LafargeHolcim Foundation? A small staff of professionals manages the administration and communications aspects of the LafargeHolcim Foundation's activities, based in Zurich, Switzerland. There are currently no positions vacant. Any open positions will be advertised on this website and in relevant media. Funding – what fellowships or grants are available? The LafargeHolcim Foundation’s regulations state that it may only spend funds within the scope of its own initiatives to support the promotion of sustainable construction on a non-commercial basis. As a consequence, there are no funds available for academic fellowships, project or research grants, or to sponsor conferences, seminars, etc., which are beyond the scope of the Foundation’s initiatives. News – how can I stay informed of the latest news about the LafargeHolcim Foundation, its Awards competition, Forums and other initiatives? The LafargeHolcim Foundation sends out announcements and media releases via email to all subscribers of its email newsletter. Some announcements are made in multiple languages, so please indicate your preferred language (English, Chinese, French, German, Portuguese or Spanish) when subscribing using the form (link below). Technical enquiries – I have questions about sustainable construction techniques and practice, whom should I contact? The Academic Committee (AC), based at the Swiss Federal Institute of Technology (ETH Zurich/EPFL), provides academic and technical support by developing, supporting, and implementing the LafargeHolcim Foundation’s initiatives on the scientific and technical level. The LafargeHolcim Foundation is also supported by its associated universities. I don’t find my question here – whom should I contact?